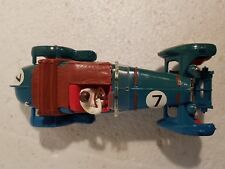 Scalextric Original 1960's E2 Motor Brushes for the following Cars. Lotus C54, Vanwall C55, Lister C56, Aston DBR C57, Cooper C58, BRM C59, Jaguar D Type C60, Porsche Spyder C61, Ferrari 156 C62, Lotus 21 C63, Bentley C64, Alfa C65, Aston Martin C68, Ferrari 250GT C69, Plus Many More. The car is hardly used and has no marks, dents, breakages, etc. All the lights work. Original brown magnet underneath. OR BY ALL MAJOR CREDIT/DEBIT CARDS. 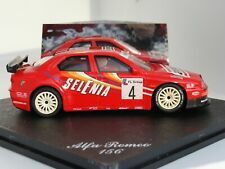 New listingCarrera 27415 Alfa Romeo GTA Silhouette 'Race 1' - Brand New in Box. Code No - 27415 - 'Race 1'. Carrera Slot Car 1/32. Never removed from plinth. Fly cars are only produced in limited runs - once they're gone they're gone and their value will only keep going up. Never run or removed from the box. 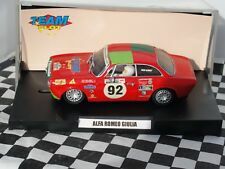 New listingCarrera 27416 Alfa Romeo GTA Silhouette 'Race 2' - Brand New in Box. Code No - 27416 - 'Race 2'. Carrera Slot Car 1/32. MANUFACTURER REFERENCE: CA40A. BELLISIMO ALFA. SLOT IT SLOT CAR. 1:32 SCALE SLOT. DTM/ITC 1995. BE DECISIVE - OR BE DISAPPOINTED. CREDIT CARD. NINCO, SCALEXTRIC, SCX AND CARRERA. The detail on Slot It models is better than all the rest, even Scalextric and NSR, easily up to display standards if you don’t want to race. All cars sent by 2. · High grip rear rubber tyres & powerful magnet which i urge you to remove & race without. CASH ON COLLECTION ONLY FROM LONDON NW2. Set contains (as per photos) - long and short straights, start/finish sections, corners, banked corners, and a hump-back bridge. This is a great 1/32 scale plastic model, never used. The car has a lovely two tone paint effect, when turned to the light the pale green turns to pale purple. Mint condition new model, plastic cas has two splits on the rear corners. Scale 1/32. The Front Headlights and Rear Taillights are in Working Condition. MANUFACTURER REFERENCE: CA11I. 1000KM BUENOS AIRES 1972. 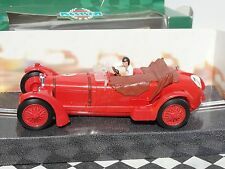 BELISSIMO ALFA. SLOT IT SLOT CAR. 1:32 SCALE SLOT. FANTASTIC VALUE FOR MONEY. CREDIT CARD. MANUFACTURER REFERENCE: 24C100. NINCO, SCALEXTRIC, SCX AND CARRERA. CONDITION:USED UNBOXED. MANUFACTURER REFERENCE: CA35D. CLASSIC DTM ALFA. SLOT IT SLOT CAR. 1:32 SCALE SLOT. WHITE #26. BEST PRICE AROUND. CREDIT CARD. NINCO, SCALEXTRIC, SCX AND CARRERA. HORNBY HOBBIES. 2 BMW M3 WORKS USED BUT IN GOOD CONDTION. LIMITED EDITION NO. 314 OF 500. BLUE #249. SLOT CLASSIC. 1:32 SCALE SLOT CAR. SLOT CLASSIC NOW SOLD OUT. RESIN MADE HISTORIC CLASSIC. LATEST OUT. CREDIT CARD.